Take ‘Saving Private Ryan’, mash it together with ‘Wolfenstein’, add in some mutant-zombie Nazis, and you have this enjoyably gonzo horror. Operation Neptune is in full flow as Allied troops storm the beaches of Normandy. Overhead, the US are flying in air support. One misfit team, led by a grizzled commander (Wyatt Russell), is tasked with destroying a radio transmitter located at a fortified church behind enemy lines. When their plane is shot down, the bruised and battered troops scramble to the church only to discover that, beneath its foundations, the Reich has been busily amassing an unholy army of undead mutants. On paper ‘Overlord’ sounds like a run-of-the-mill B-movie. In reality, it has much more going for it, most significantly the talented young cast – including British actor Jovan Adepo as the captivating lead. Admittedly, the characters are thinly-written cliches – the brooding man-of-few-words commander, the wise-cracking crack shot, and the heart-of-gold newbie. But these simple archetypes are forgivable, especially in the case of the gloriously-over-the-top-jack-booted antagonist, played by ‘Game of Thrones’ actor Pilou Asbæk. Meanwhile, Mathilde Ollivier impresses as a tough-as-nails villager who would be a worthy addition to the French Resistance. 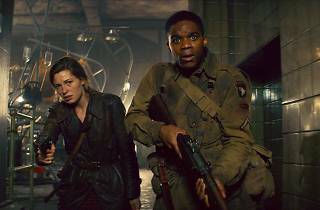 The story is also much more artful than the premise suggests, playing with the concept of monstrosity and asking what separates good from bad in times of war. And how far are each side willing to go? Or rather, who are the real monsters here? Be prepared for blood, guts and gore. The violence, both in the high-octane opening scenes and the more monstrous body horror, is squirm-inducing at points, all bolstered by Jed Kurzel’s thundering score. Don’t be fooled by its B-movie credentials. 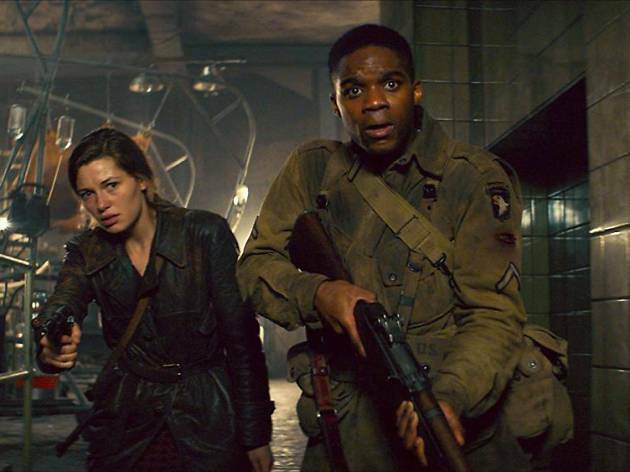 Amidst the carnage, ‘Overlord’ has more to say than you might think.